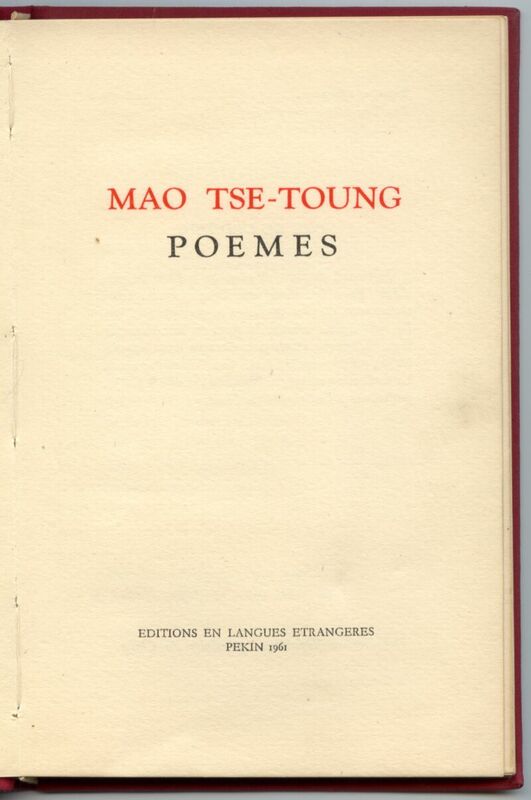 Chairman Mao's poems are here offered for the French speaker or collector of different versions of his poems. Fully 18 poems are included in 53 pages, which includes extensive notes for the reader to put certain terms or phrases into context. 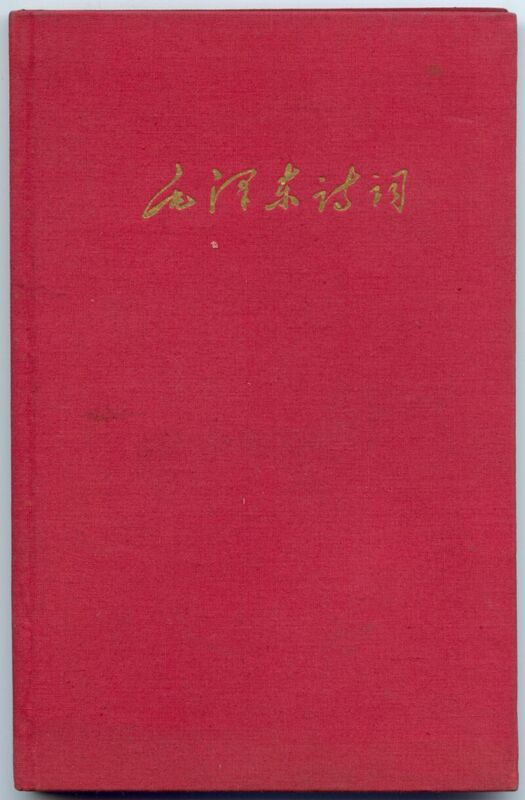 There are also two pages of calligraphy in Mao's own handwriting. This book is in very nice condition from 1961. There appears to be a photograph of Mao missing at the front of the book. The book measures 12.5 cm (5 inches) x 19.5 cm (7.7 inches).